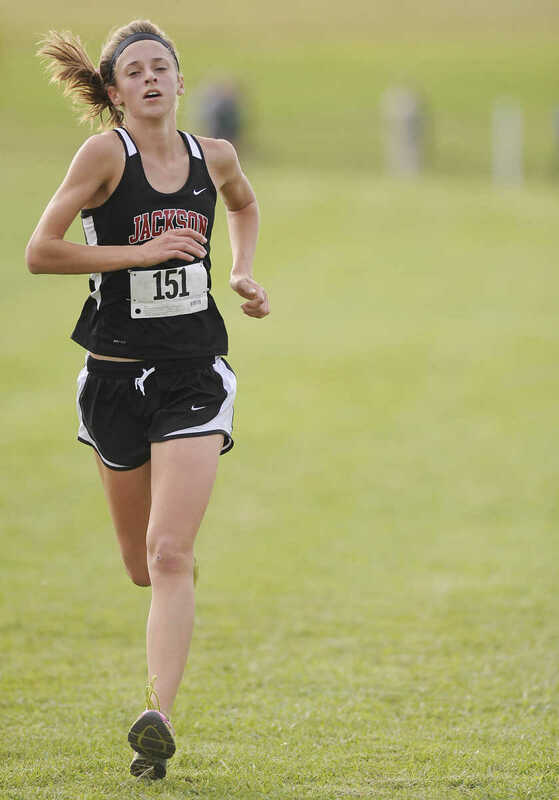 The SEMO Conference Cross Country meet Thursday, October 11, at Notre Dame Regional High School. 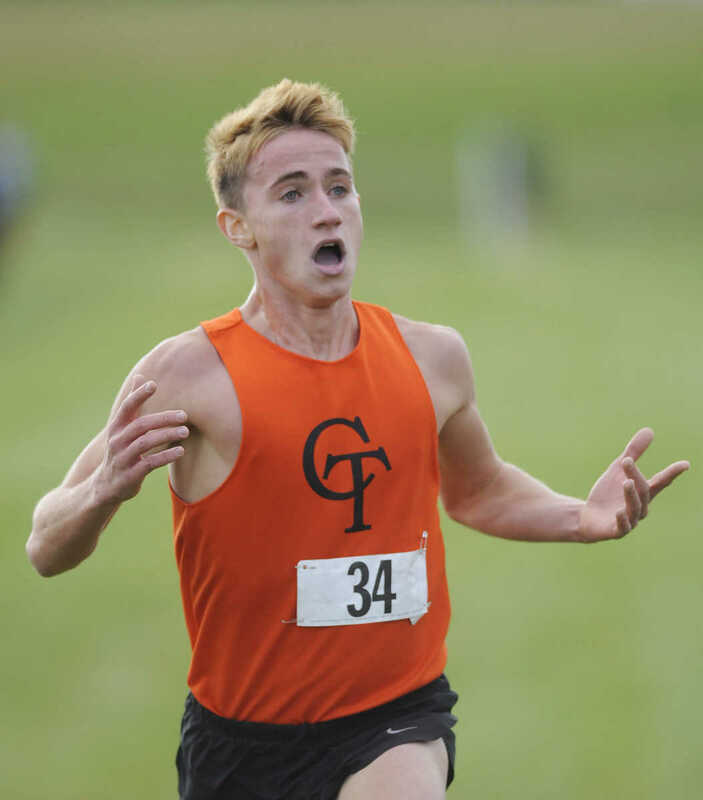 Cape Central's Bill Leighton reacts to his time as he crosses the finish line at the SEMO Conference Cross Country Meet Thursday, October 11, at Notre Dame Regional High School. Leighton won the race with a time of 15:43:51. Cape Central's Maddy McDonald approaches the finnish during the SEMO Conference Cross Country Meet Thursday, October 11, at Notre Dame Regional High School. 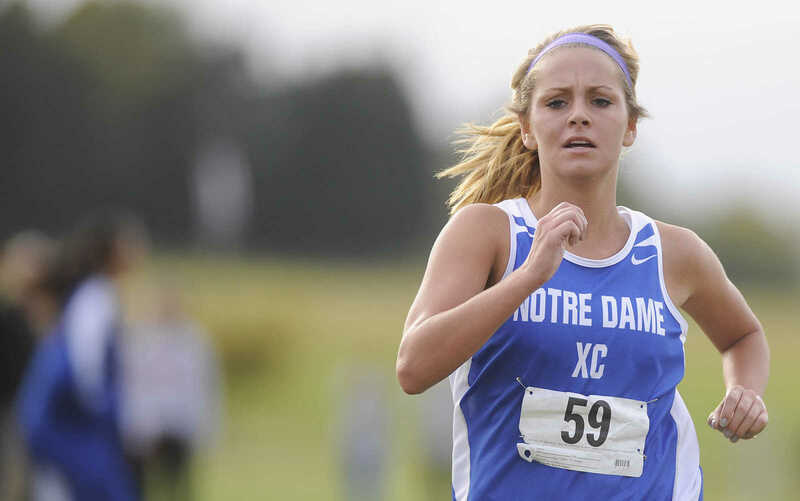 Notre Dame's Breanna Conklin approaches the finnish during the SEMO Conference Cross Country Meet Thursday, October 11, at Notre Dame Regional High School. Conklin placed second with a time of 19:20.43. 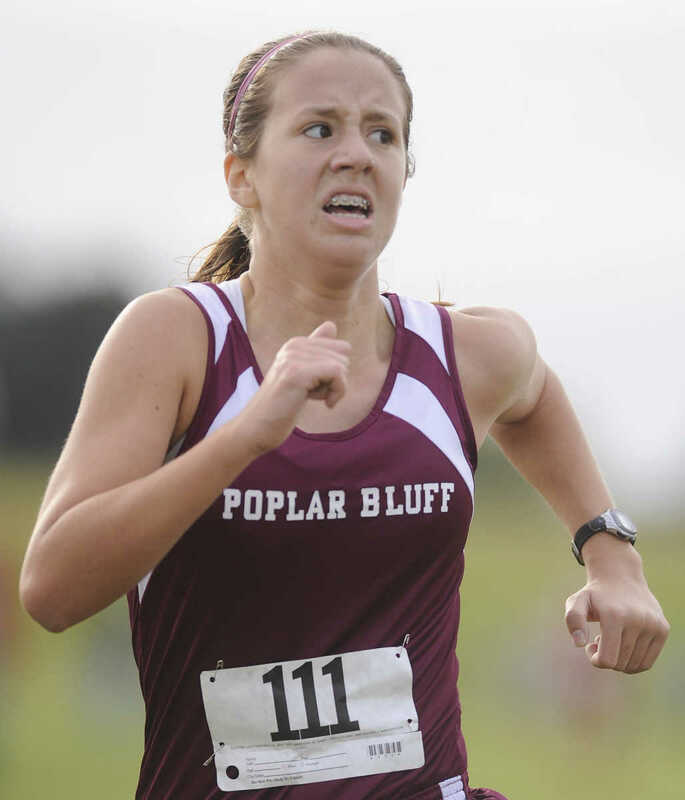 Poplar Bluff's Allison Huskey looks at her time as she approaches the finnish during the SEMO Conference Cross Country Meet Thursday, October 11, at Notre Dame Regional High School. 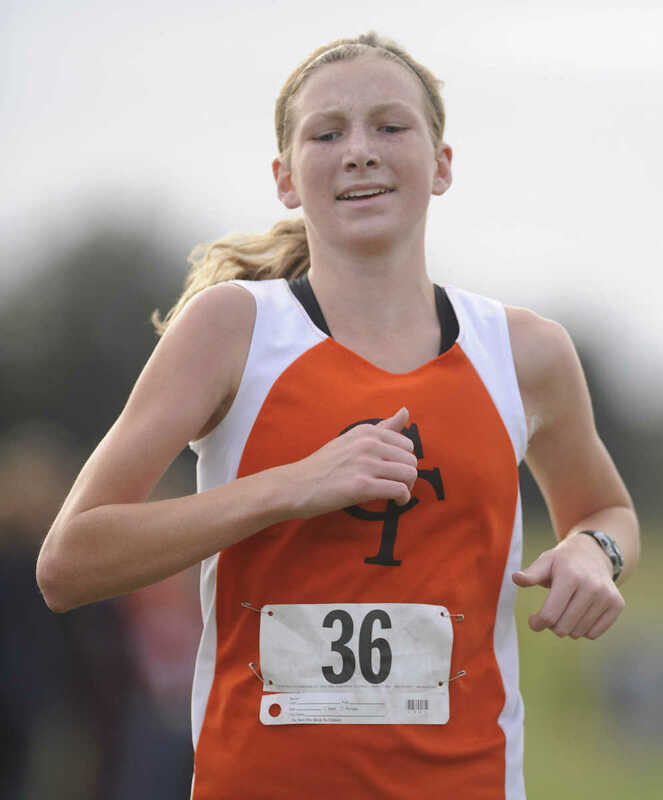 Huskey placed third with a time of 19:59.36. 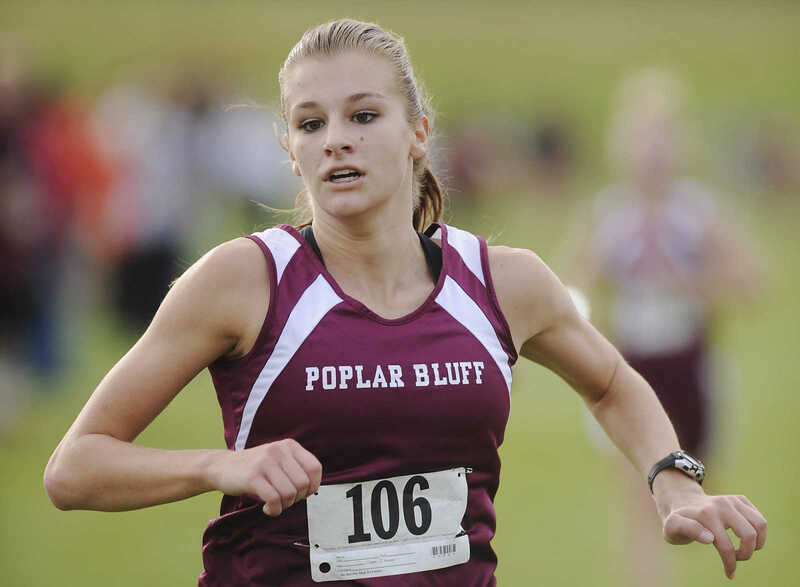 Poplar Bluff's Allison Huskey runs during the SEMO Conference Cross Country Meet Thursday, October 11, at Notre Dame Regional High School. 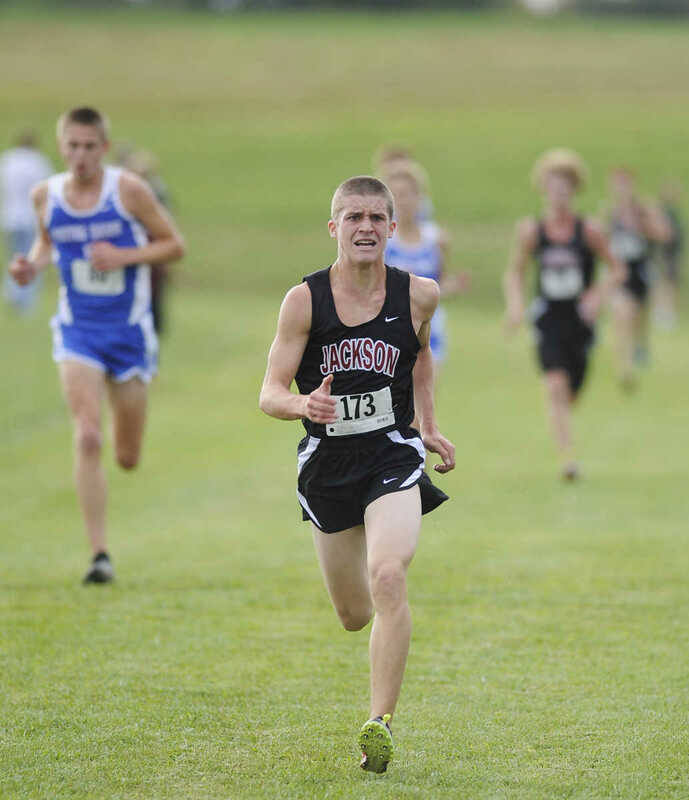 Huskey placed third with a time of 19:59.36. 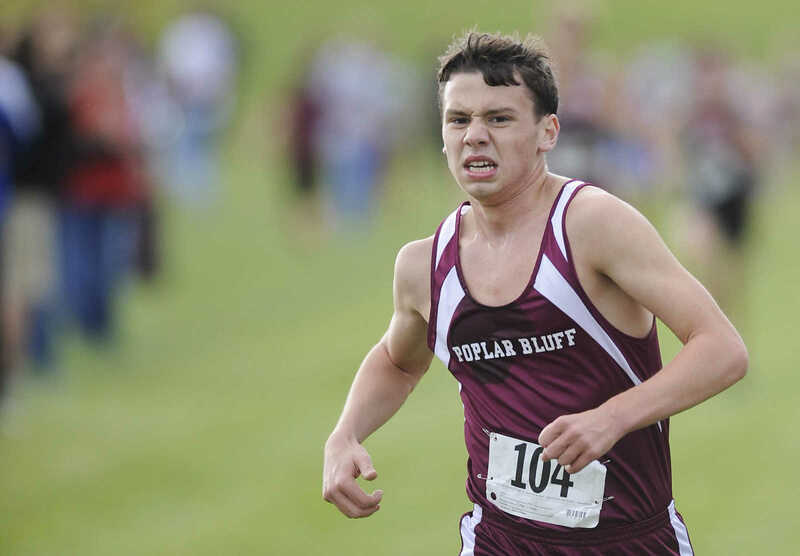 Poplar Bluff's Bailey Davidson crosses the finish line at the SEMO Conference Cross Country Meet Thursday, October 11, at Notre Dame Regional High School. 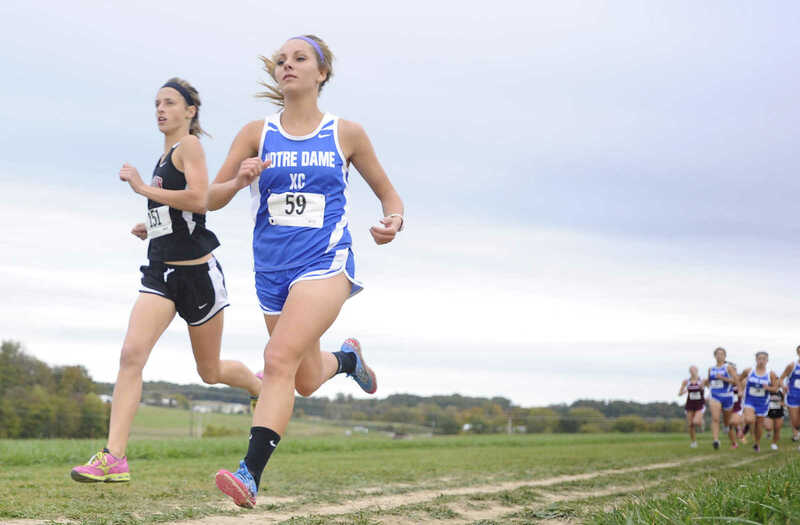 Jackson's Chelsea Drumm, left, and Notre Dame's Breanna Conklin lead the pack at the SEMO Conference Cross Country Meet Thursday, October 11, at Notre Dame Regional High School. Drumm placed first with a time of 18:39.95 with Conklin placing second with a time of 19:20.43. Poplar Bluff's Cassidy Harris and Allison Huskey run during the SEMO Conference Cross Country Meet Thursday, October 11, at Notre Dame Regional High School. 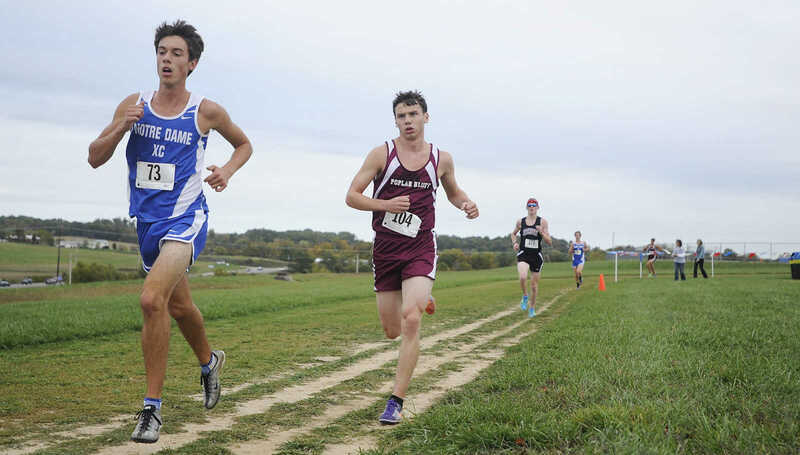 Notre Dame's Jacob Meadors and Jackson's Nate Martin run during the SEMO Conference Cross Country Meet Thursday, October 11, at Notre Dame Regional High School. Poplar Bluff's Cassidy Harris approaches the finnish during the SEMO Conference Cross Country Meet Thursday, October 11, at Notre Dame Regional High School. 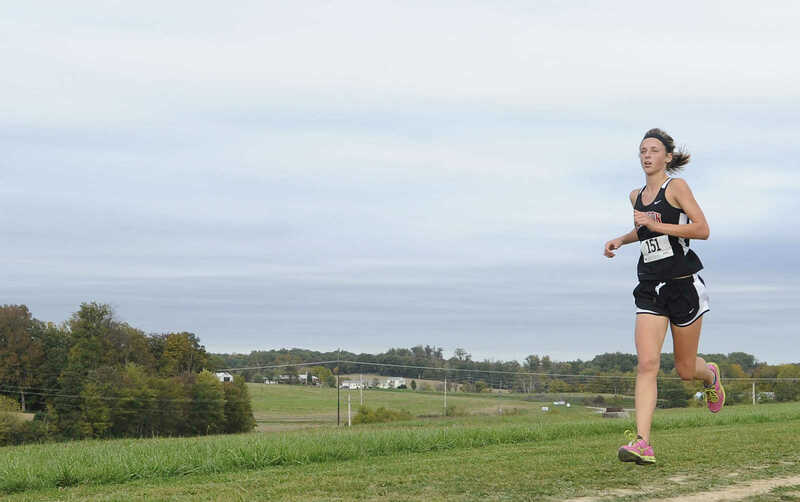 Jackson's Chelsea Drumm approaches the finnish during the SEMO Conference Cross Country Meet Thursday, October 11, at Notre Dame Regional High School. Drumm placed first with a time of 18:39.95. 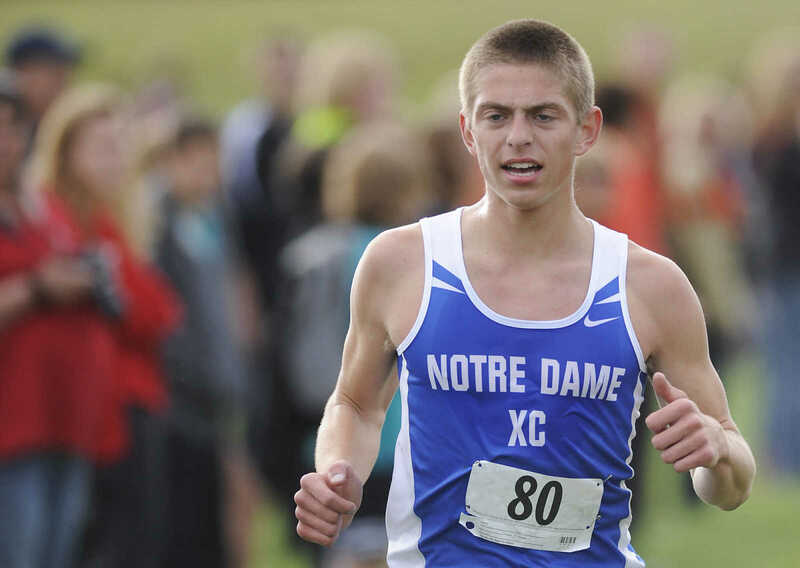 Notre Dame's Michael Peters approaches the finish line at the SEMO Conference Cross Country Meet Thursday, October 11, at Notre Dame Regional High School. 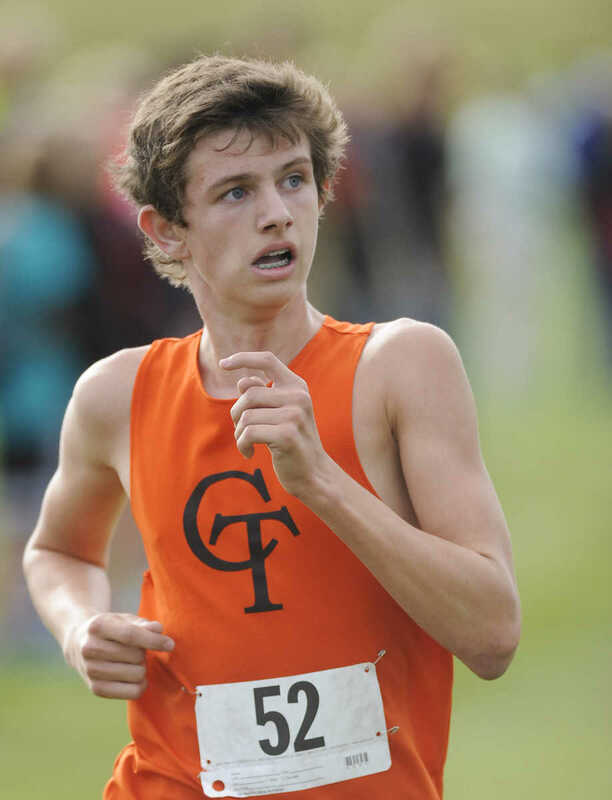 Cape Central's Logan Wright looks for his time as he crosses the finish line at the SEMO Conference Cross Country Meet Thursday, October 11, at Notre Dame Regional High School. Jackson's Tayler Winnick runs during the SEMO Conference Cross Country Meet Thursday, October 11, at Notre Dame Regional High School. Jackson's Chelsea Drumm runs during the SEMO Conference Cross Country Meet Thursday, October 11, at Notre Dame Regional High School. Drumm placed first with a time of 18:39.95. 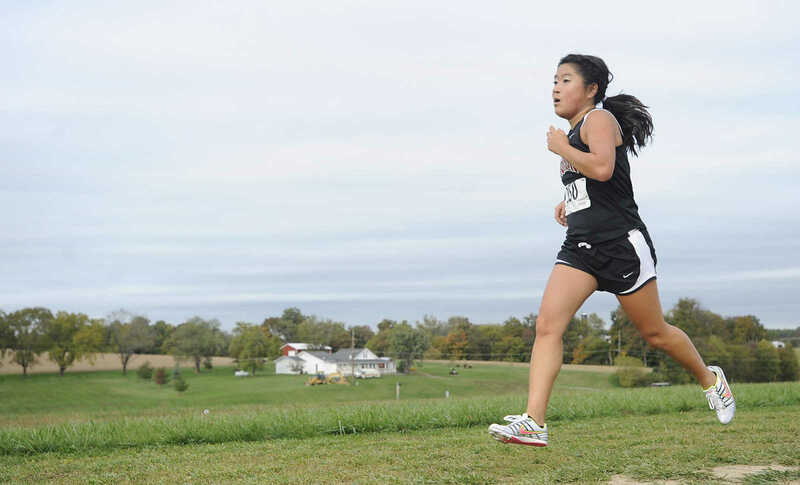 Jackson's Zhao Ni Dirnberger runs during the SEMO Conference Cross Country Meet Thursday, October 11, at Notre Dame Regional High School. 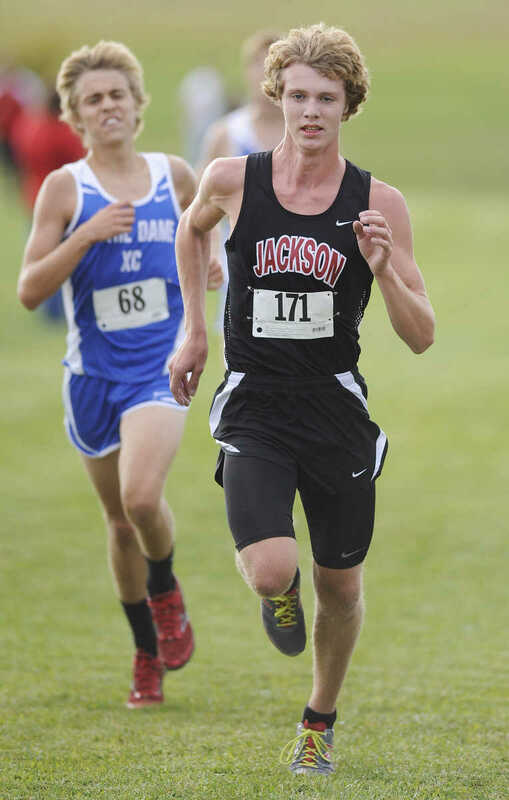 Jackson's Noah Weatherby approaches the finish line at the SEMO Conference Cross Country Meet Thursday, October 11, at Notre Dame Regional High School. 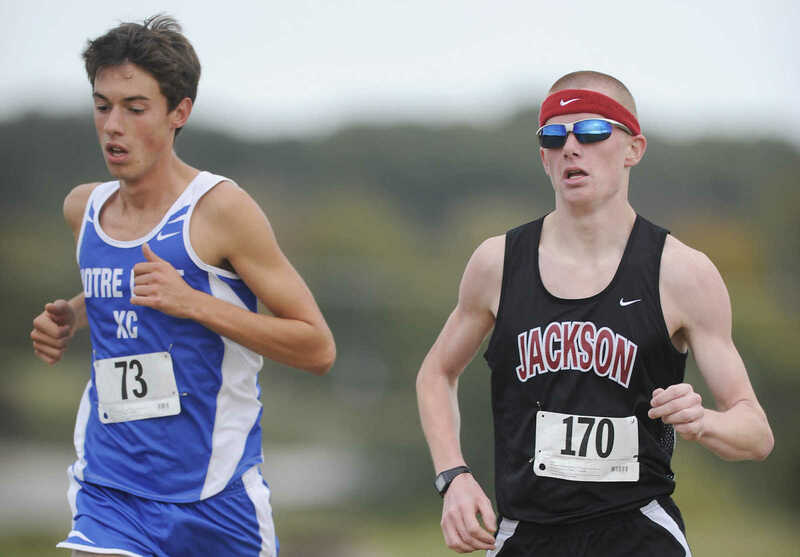 Jackson's Matt Gibson and Notre Dame's Brock Kasten approach the finish line at the SEMO Conference Cross Country Meet Thursday, October 11, at Notre Dame Regional High School. 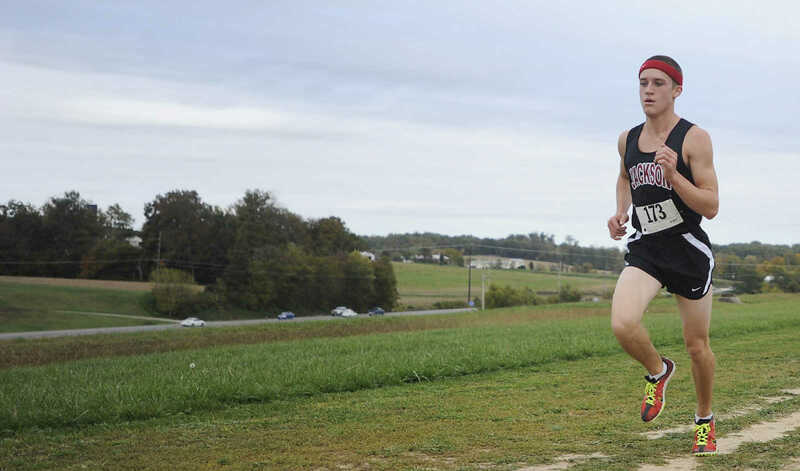 Jackson's Noah Weatherby runs during the SEMO Conference Cross Country Meet Thursday, October 11, at Notre Dame Regional High School. Cape Central's Haley White runs during the SEMO Conference Cross Country Meet Thursday, October 11, at Notre Dame Regional High School. 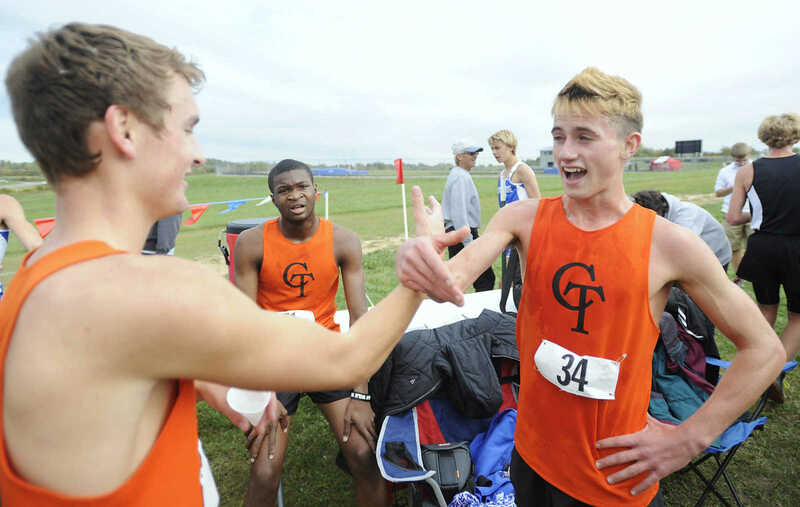 Cape Central's Bill Leighton is congratulated by his teammates after the SEMO Conference Cross Country Meet Thursday, October 11, at Notre Dame Regional High School. Leighton won the race with a time of 15:43:51. 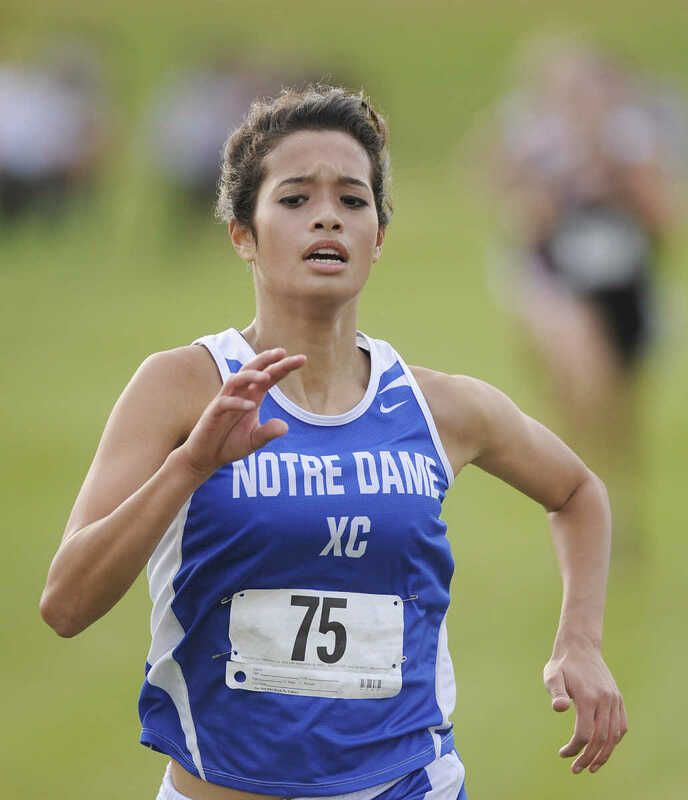 Notre Dame's Adilyn Mueller approaches the finnish during the SEMO Conference Cross Country Meet Thursday, October 11, at Notre Dame Regional High School.